Our correspondent Elise will be out on the trail in coming weeks and months, and will share her experiences here. Elise planted her roots in Sierra County’s quaint and quirky town of Truth or Consequences in the summer of 2015. 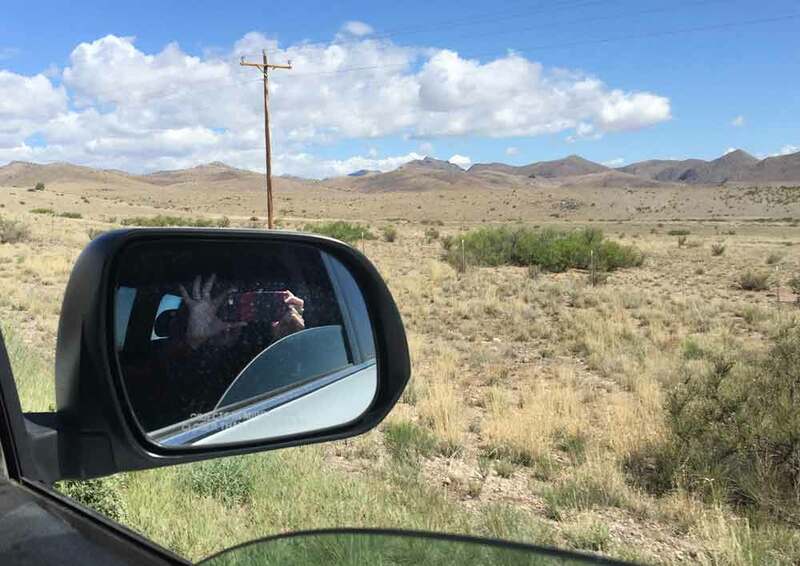 Hot springs, blue skies, sunshine, and starry nights are what drew her to this particular southwestern corner of the country, as well as a growing desire to escape the industrialized machinery of fast-paced, ultra-expensive city life. When not writing about her explorations and experiences, she enjoys soaking in the mineral-rich hot springs of T or C, hiking with her man and her two little dogs around town, and hopping in the car for exploratory adventures throughout New Mexico, Colorado, Arizona, and Utah, as well as singing, songwriting, playing guitar, yoga-ing, meditating, reading, baking gluten-free goods, planting seeds, and watching things grow in this high desert haven of a home.